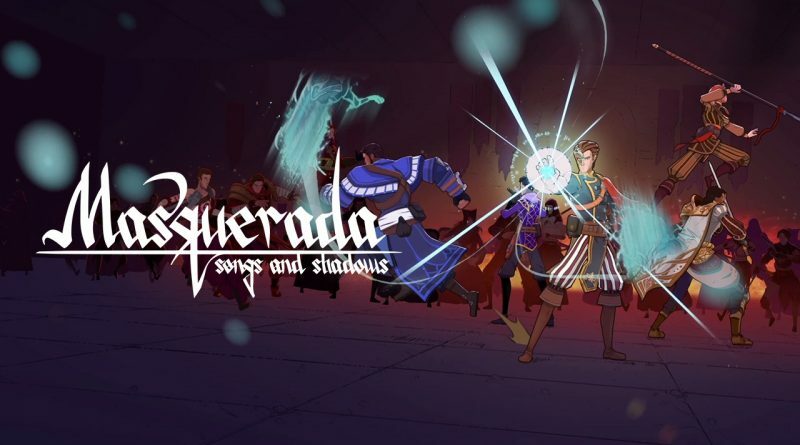 Ysbryd Games and Witching Hour Studios today announced that the tactical RPG Masquerada: Songs and Shadows is coming to Nintendo Switch on May 9, 2019. It will be available via the Nintendo eShop for $19.99 with support for English, French, German, Russian, Brazilian Portuguese, and Turkish languages. Masquerada: Songs and Shadows is a single-player tactical RPG set in a Renaissance-inspired city of magic, where real-time combat can be paused to set up elemental combos powered by Venetian-styled masks. Come for gorgeous hand-drawn art, and stay for a thoughtful, fully-voiced tale of intrigue & tragedy featuring Matthew Mercer, Jennifer Hale and more. In the turmoil-ridden city of Ombre, religion holds no sway; only the songs sung of one’s deeds will carry an Ombrian’s legacy beyond death. To ensure their songs live on, the warring guildsmen of the city will go to sinister lengths to acquire Mascherines – masks that grant their wielders the power to channel the elements and cast destructive magic. Explore the city’s chaos as the investigator Cicero Gavar, who was exiled for a crime against the state five years ago. Now summoned back to Ombre to solve the mysterious kidnapping of a diplomat, Cicero finds himself surrounded by doubtful and deceitful characters as he works to unearth a deeper conspiracy within the shadows of this Mascherine-mad city.